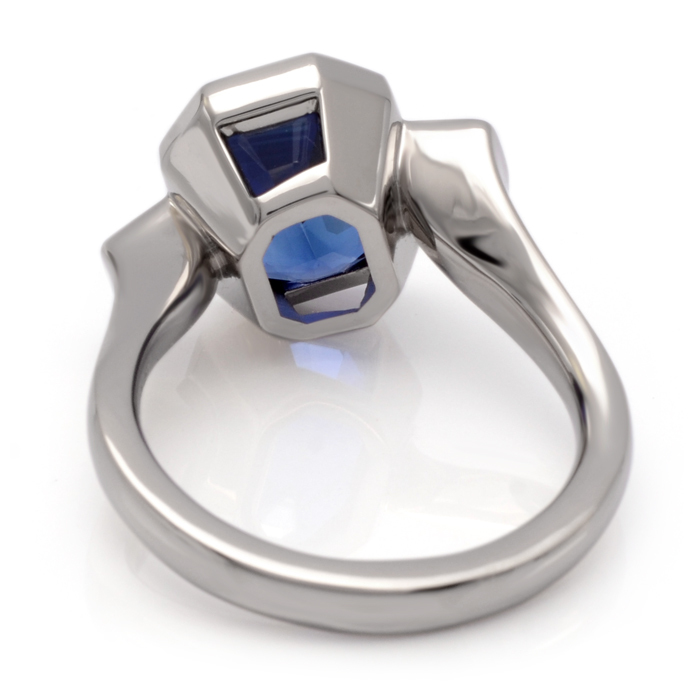 Commissioned as a re-model with the clients stones that were bezel set into a new ring design. 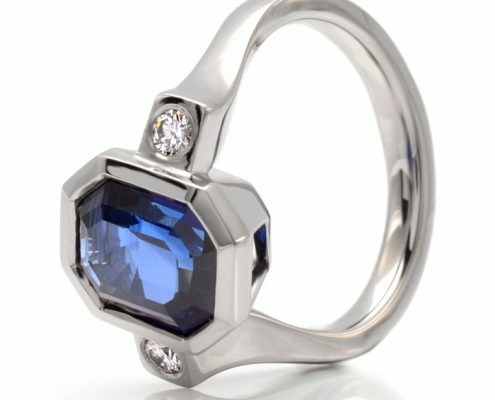 The design of this ring is modelled on Lauren Elizabeth’s ‘Anahi Cocktail Ring’. 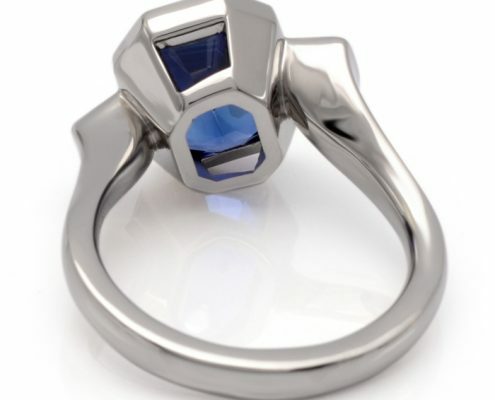 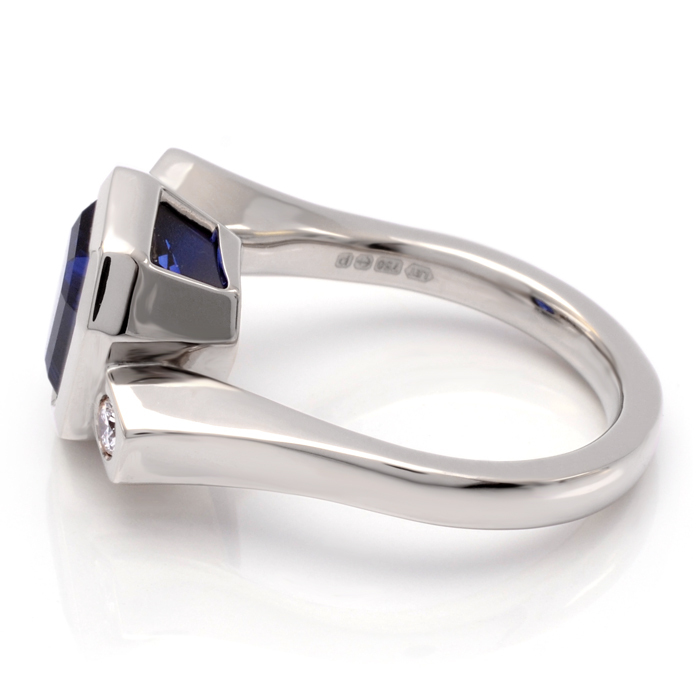 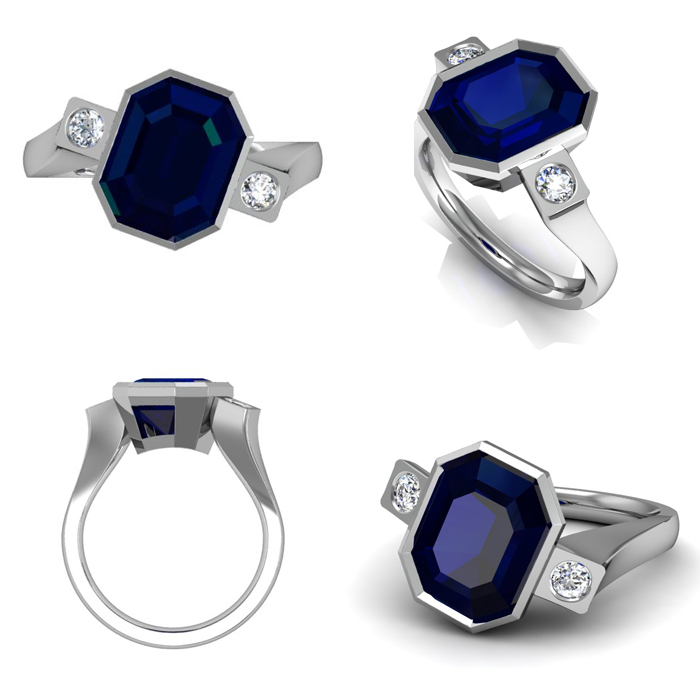 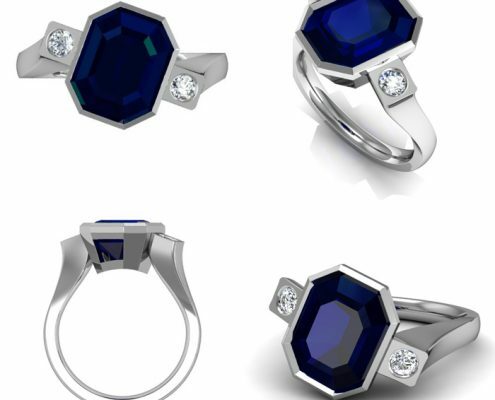 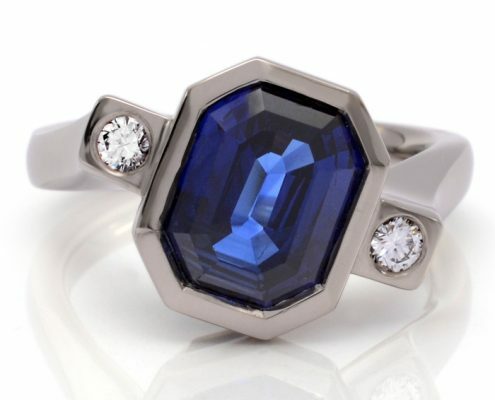 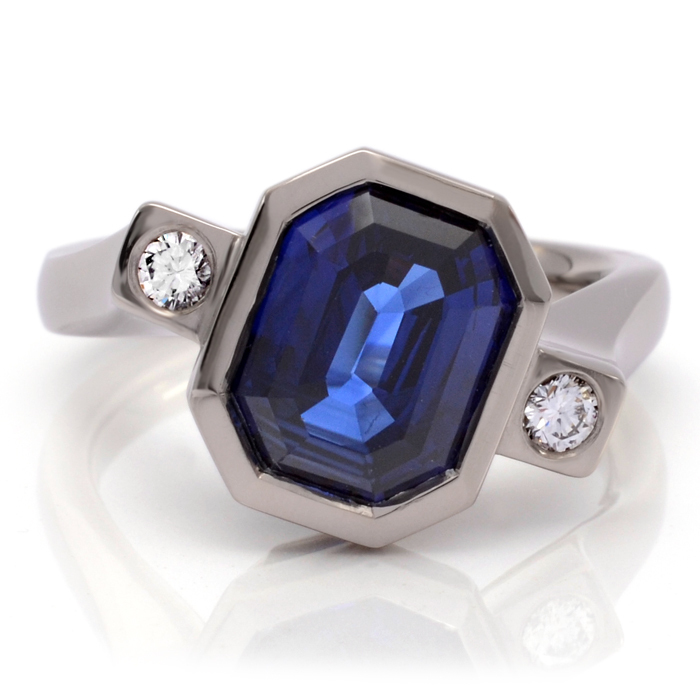 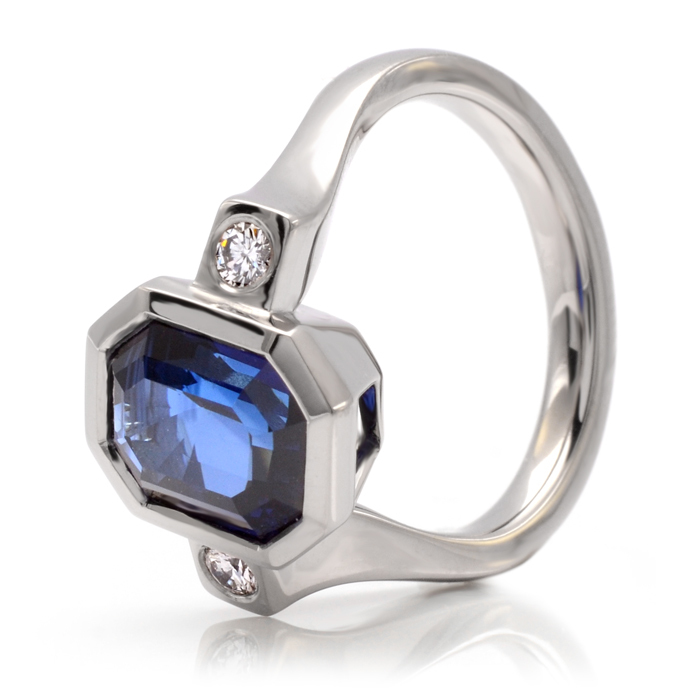 The stunning 4.94ct emerald cut blue sapphire is the focal point of this architectural bespoke ring, accented with two flush set round brilliant White Diamonds. 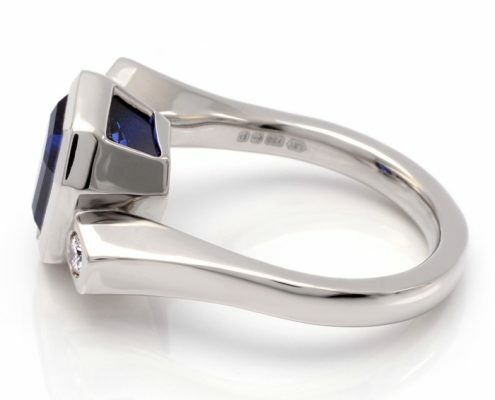 The design features a combination of straight lines juxtaposed with curves making it a stunning piece from every angle.